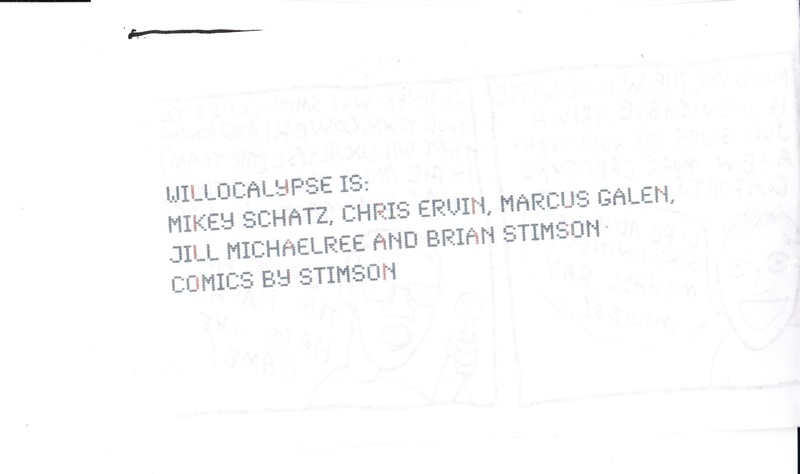 Ladies & Gentlemen, Introducing WILLOCALYPSE: THE COMIC BOOK!!! LATEST WILLOQUALISM: Willocalypse is the kind of trivia team that when they move in next door, your lawn dies. Our trivia team name is an increasingly anachronistic in-joke between the two founding members: myself, and Mikey. As the two of us were driving to the Hawthorne Hideaway last March to participate in our very first ShanRock hosted bar trivia event, our conversation turned to the song “Wild Wild West,” the eponymous single from “Wild Wild West: The Movie: The Soundtrack.” I can’t remember how our conversation turned to a 9 year old promotional rap single, considering the film said song was crafted to promote is an unwatchable abortion. Perhaps it was fate. This spontaneous recollection of an old Will Smith song led us to a discussion of Will Smith’s 1999 record, “Willenium,” — as in, what kind of person tries to brand 1,000 years with a stupid pun? Is that awesome? Is that not awesome? What happened to that branding effort? At this point, we entered the bar and drift away form this topic. Flash Forward 10-20 minutes. We are inside the Hideaway. We are drinking cheap beer. One of us has recently been defeated in billiards, at the hand of his trivia teammate. The conversation turns to the Mayan astrological calendar, which will end sometime in 2012. (Our conversations take a lot of turns. Scenic detours, if you will). We consolidate our knowledge. We are fascinated by doomsday prophecies. This line of thought peters out quickly, however. “So. The end of Times.” I say, lackadaisically. “So the Willenium ends… prematurely?” says I. 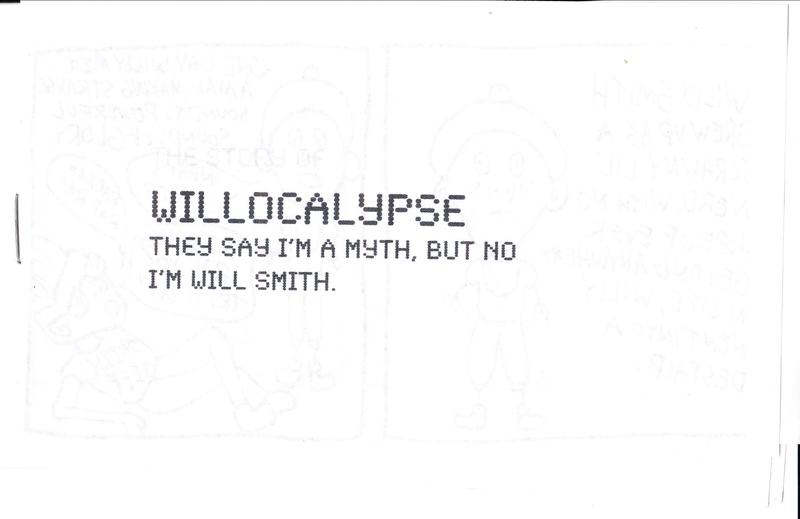 We are just naive young men, and so we write down “Willocalypse,” as our team name. On a lark.